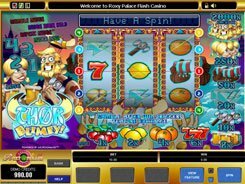 Golden Princess is a five-reel Aztec-themed slot developed by Microgaming. The reels are encased in a massive golden frame to add a touch of luxury and glamour. 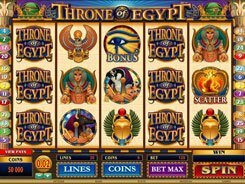 Along with playing card symbols, the icons include a princess, a warrior, a black panther, a cougar, an Aztec pyramid, and a treasure chest. 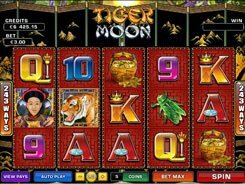 A player has three changeable options to configure before a spin: a coin value (up to $0.1), the number of coins per spin (up to 10), and the number of paylines to place a bet on. 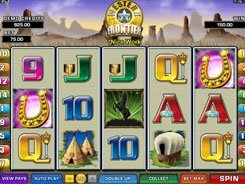 The minimum and maximum bets are therefore $0.01 and $25 per spin. 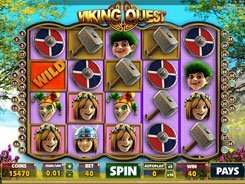 In terms of gaming features, Golden Princess contains wilds, scatters, free spins and mystery pays. A wild appears stacked on all reels and substitutes for other regular icons to finish a payline. When doing so, a wild awards a random x2 or x3 multiplier to a normal combination value. 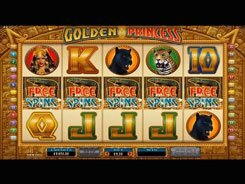 The top fixed jackpot worth x5000 is awarded for the Princess symbol if these five land on a payline, but during a free spins feature you can win up to 125,000 coins.